New York City’s sprawling commercial waste system performs significantly worse on recycling and efficiency than previously believed. Under an inefficient and ad-hoc arrangement that developed over the past several decades, hundreds of private hauling companies collect waste from restaurants, stores, offices, and other businesses nightly and truck it to dozens of transfer stations and recycling facilities concentrated in a handful of low-income communities of color. This waste is then transferred to long-haul trucks and hauled to landfills as far away as South Carolina. Previously unpublished studies and new data reveal just how chaotic this system is and make clear that fundamental reform is needed if we are to follow through on the City’s recently adopted commitment to reduce greenhouse gas (GHG) emissions by 80% by 2050. Resolving our society’s trash problem is one of the major environmental challenges of our time. In Los Angeles County, this crisis has reached urgent proportions. 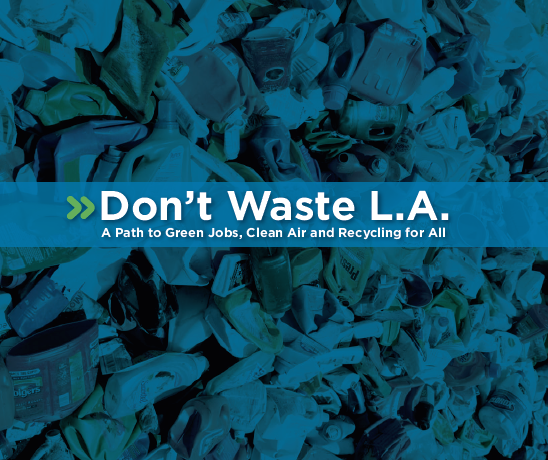 As one of the largest waste markets in the country, Los Angeles County generates 23 million tons of waste and recyclable materials and sends over 10 million tons of waste to landfills each year. Many of the remaining landfills in the county will reach capacity and close in the coming years, and officials project that as early as 2014, we will be making more trash than our landfills can handle. The City of Los Angeles creates a third of the county’s waste that goes to landfills and therefore has a major role to play in addressing this crisis. Recognizing this, the City has set an ambitious and worthy goal of becoming a zero waste city by 2030. However, reaching this goal will be impossible without reforming the dysfunctional and inefficient trash collection and processing system for the City’s businesses and large apartment complexes. Reforming this system is key to reaching not only the City’s recycling goals but also its goal of creating new green jobs in the recycling sector. In the midst of one of the worst economic crises in modern history, the City of Los Angeles’ unemployment rate stands at an alarming 14 percent. 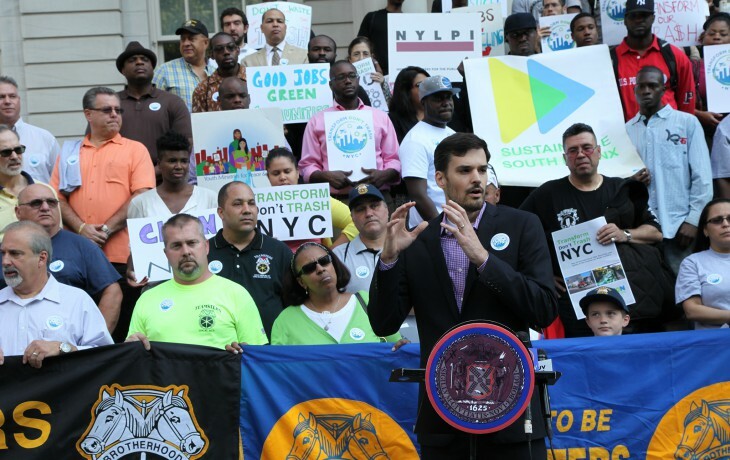 By raising standards for the waste industry, the City can create good green jobs to put people back to work, bring families out of poverty and rebuild the local economy. Report provided by LAANE. 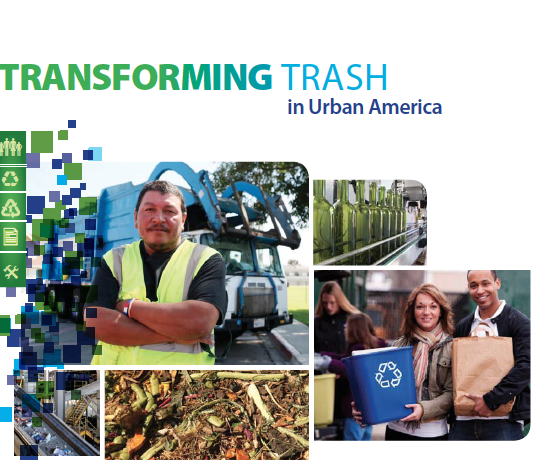 Transforming the way local governments manage trash promises to improve conditions in many cities by turning bad jobs into good jobs, creating new employment, decreasing pollution, and lowering costs. Cities can move toward zero waste and capture a range of worker, community, and environmental benefits by introducing new systems for managing trash. Some cities are adopting a new approach toward recycling that delivers a range of public benefits. Sustainable recycling combines robust recycling programs with high road job quality and economic development policies. This approach contrasts with what exists in many cities, where there are low recycling rates and little attention is paid to the environment, workers, or communities. Together the elements of sustainable recycling create trash management systems that fight climate change, create family-sustaining jobs, and support strong local economies and healthy communities. This vision of clean, thriving cities requires policymakers and leaders to take an aggressive and proactive stance toward tackling trash problems. Report provided by Partnership for Working Families. All New Yorkers want to live and work in safe, healthy communities. New York City has taken some steps in recent years to build the cleaner, more sustainable city we all want, increasing green space and the energy-efficiency of its building stock. The City has also begun to build a more equitable and sustainable solid waste management system, expanding residential recycling programs, and developing a plan to more fairly distribute waste facilities throughout the five boroughs. Unfortunately, the City has largely overlooked the commercial waste sector, to the detriment of local communities and workers, and to the detriment of the local environment, economy, and the City’s long-term sustainability. 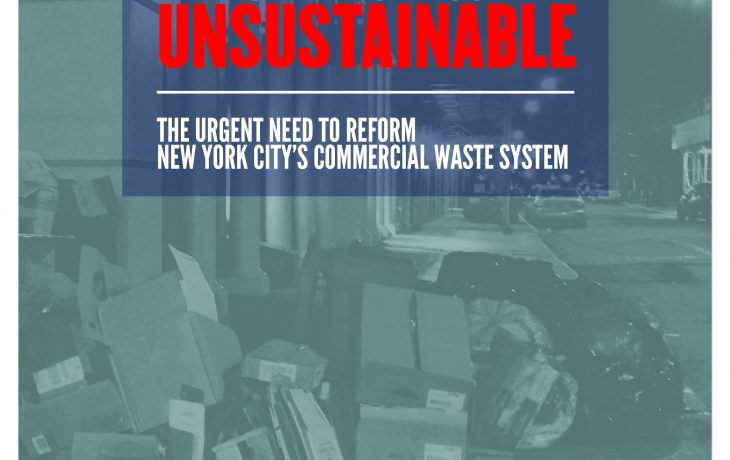 This report outlines the current detriments of New York City's waste system and policy recommendations for transforming it. 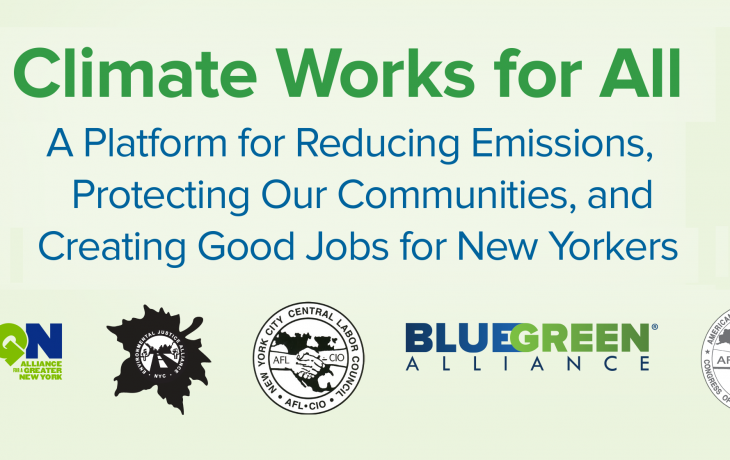 This report details a bold platform called Climate Works for All, which aims to make New York City more resilient, create nearly 40,000 good jobs each year, and cut our annual greenhouse gas emissions by nearly 12 million metric tons. 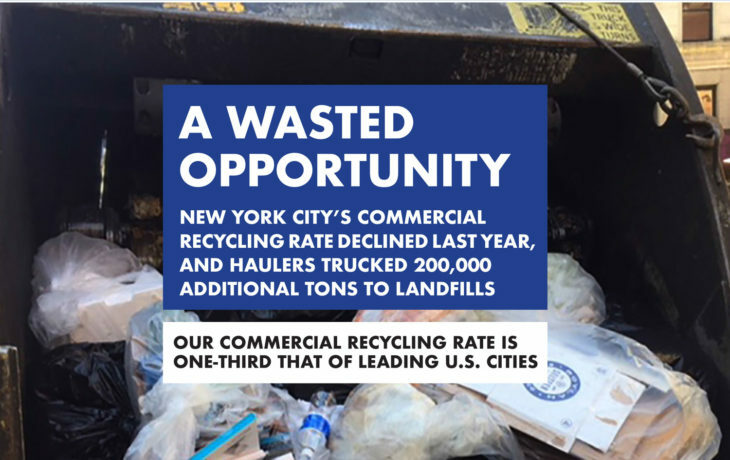 The report highlights recommendations from the Transform Don't Trash NYC campaign such as: Creating a commercial waste hauling system through a more efficient system of waste collection zones would increase City revenue by almost $10 million; increasing waste diversion rates through recycling by up to 200 percent; creating more than 15,000 jobs over the next 10 years; and reduce greenhouse gas emissions by nearly one million metric tons per year. A modified system would also improve the quality of life for low-income communities and communities of color in New York City who are disproportionately impacted by truck and waste facility pollution under the current waste hauling system.